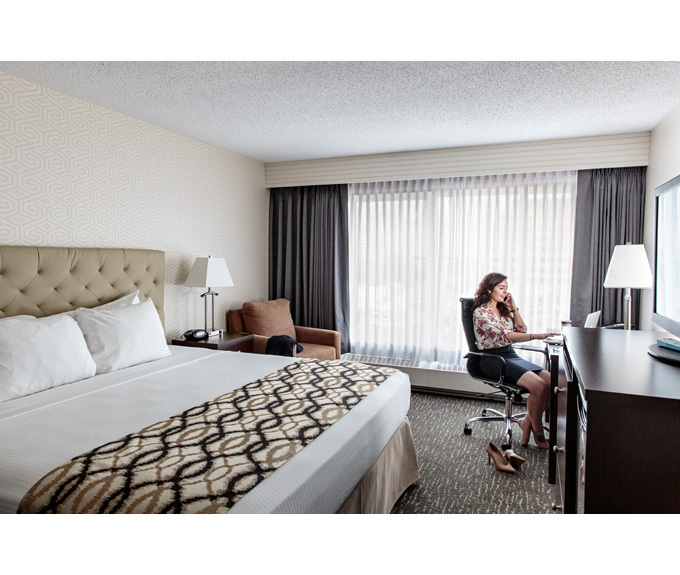 The BEST WESTERN Cedar Park Inn is an inviting hotel situated along major routes in Edmonton. This Alberta hotel proudly offers superior customer service and enticing accommodations at an affordable price. Guests will love Fort Edmonton Park, Muttart Conservatory, the Edmonton Space and Science Center and the Provincial Museum of Alberta, all close to the hotel. Alberta is also known as "Canada`s Festival City" for the ongoing events throughout the year. Corporate travelers will appreciate being close to the Nikko Business Care the Legislature Building Northlands AgriCom and the Shaw Convention and Conference Centre.